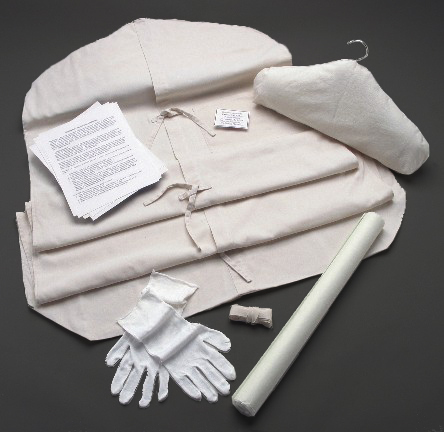 We are a certified provider of Heritage Garment Preservation’s Museum Method preservation technique. We have reviewed many gown cleaning and preservation services over the years and this is by far the best we have ever seen. The unique Museum Method ™ preservation technique is recommended by the Ohio Sate University Extension Office in their Textile and Clothing Fact Sheet: Storing Wedding Gowns and Textile Heirlooms. The Cooperative Extension Service of the University of Maryland also recommends this method in their fact sheet Cleaning and Storing Your Wedding Gown. Both of these fact sheets are provided by the Smithsonian Museum textile department upon request for bridal gown preservation recommendations. Call or email us today to learn more about this really great service.